Shale is a game changer for America. Shale is already creating a significant amount of economic growth and improving our energy security, and there is potential for much more. Through education and action, the Energy Institute is giving voice to U.S. businesses and industries that believe in promoting production of natural gas and oil from shale formations to boost our economy, create jobs and secure America's energy future. To help quantify the impact of shale, the Energy Institute teamed up with the respected global research firm IHS and other organizations to conduct a comprehensive three-part study. America's New Energy Future: The Unconventional Oil and Gas Revolution shows that shale will create millions of jobs and trillions in investments over the coming decades. Phase I of the study, released in October 2012, quantifies the national impacts of shale, while Phase II, released in December 2012, details the state by state job and revenue impacts. In September 2013, we released Phase III, which goes even further by looking at the impact on manufacturing and other "downstream" activities. Roll over each state to see the economic benefits of shale energy over the next 20 years. The good news on energy just keeps on coming. About a month ago we told you about the latest forecast from the Energy Information Administration showing U.S. crude oil production reaching new heights in the coming years. Past is prologue, as they say. 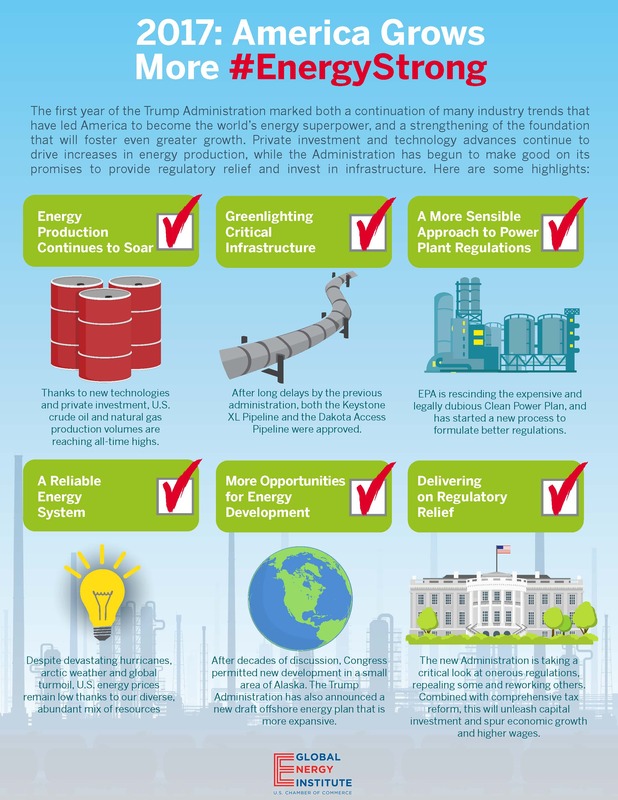 As we look forward to what 2019 could bring for American energy, it’s worthwhile to look back at 2018 for some hints. With that in mind, here is our “look-back preview” of eight key trends and important issues that we believe will help to shape the year ahead. Last month, the United States surpassed Russia – to become the world’s largest crude oil producer, reaching 10.9 million barrels a day of production in August.